Sweet Basil - more like Sweet Jesus this is a long lunch! 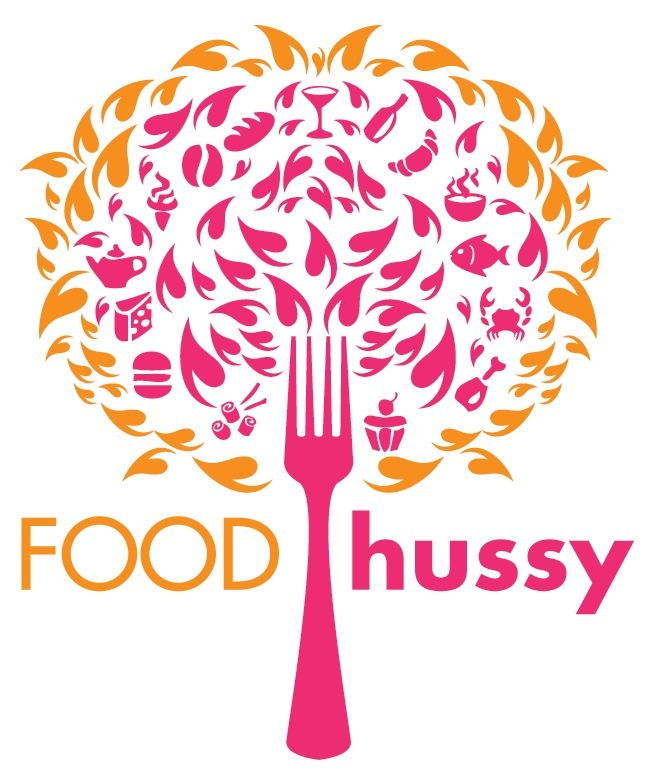 But the sushi is good... | The Food Hussy! At work we have instituted Fancy Lunch Day - about once/month we pick a "fancy" place and head out to lunch! It's not always ultra-fancy but remember - it's Cincinnati. 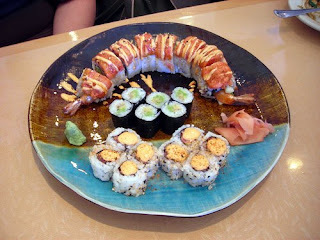 We've been to Greenup, JeanRo, Nada and a few others...so this day we all were craving sushi!!!! 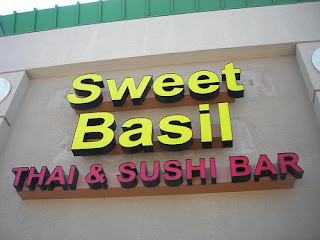 We headed out to Buttermilk Pike in NKY and went to Sweet Basil. Erica was up for Tofu Pad Thai while the rest of us were ready for SUSHI TIME! It's a cute little restaurant and were were enjoying the atmosphere. There's ample parking and it's a nice place. But now - the food! 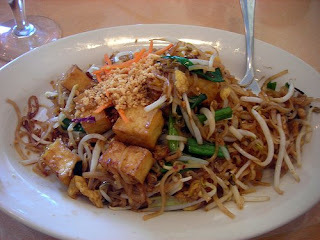 As I said, one of our party had the Tofu Pad Thai and I have to say - it was great! I'm not a big tofu fan but I tasted a little cube and it was good! Nice and crispy. The other 3 of us ordered sushi - 2 got the sushi combos but I was adventurous and ordered a couple of rolls. The photo above is mine - I had a Tiger Roll and a Spicy Tuna Roll. They were really tasty and I definitely enjoyed every bite. The biggest issue - which I'm saving for the end - was timing and service. They were extremely slow and all four of us got our meals at different times. To me - that's just silly - we're 4 people on a Wednesday at lunch and it wasn't busy. The pad thai came at least 15 minutes before anything else! Then my sushi came and then 10 minutes later - sushi #2 and 5 minutes later - sushi #3. I'm going to give Sweet Basil a 2.5 stars mainly because of service and price. It was okay - but RuThai's in Mt Lookout is quicker and more affordable and I like their rolls better. It's not that uncommon for sushi rolls to come out as the sushi chef prepares them - and if you're eating alone or as part of a duo, then no biggie. But when all four people get their meals at separate times?! Ridiculous!! My favorite places remain Asiana or Ko-Sho. I haven't been by Ko-Sho in a while so I'm not even sure if it is still open... but it was always encouraging to see Japanese people eating there and enjoying the food. 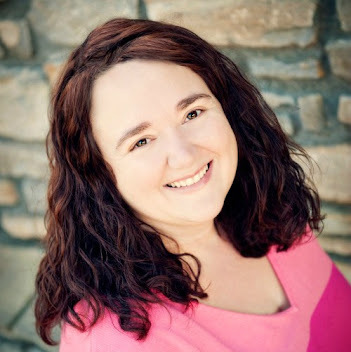 Heather, can you email me at ldoyle@wordsworthweb.com when you get a chance? I have something that you might be interested in... thanks! The sushi chef and the kitchen work in two different areas, when you all order something different and get it at different times you shouldn't really be surprised honestly. It takes probably only about 5 minutes at most to make a pad thai and you can make 3 in about the same time, but making sushi rolls, especially the ones you ordered takes time. Did you want the rest of your party to wait for you? Do you want your rolls to come out with less quality because you prefer time over quality? You probably should have just said "slap it on a plate if you will, because I just want it fast, don't worry about preparation and quality, thanks anyways..."
Just for a couple of end notes, it may not look busy in the restaurant, but what if one table with 2 people orders 6-7 rolls alone...you think that it matters how many tables? Or perhaps its just the number of rolls ordered? What do you think? For someone who appears to make it out to eat quite a lot, it seems like you would have more consideration and less ill-informed "honesty", but thats probably just me right? Sorry Christian - I'm sticking to my guns. If you run a restaurant and there's a table of 4 - they shouldn't ALL get their meals at different times.